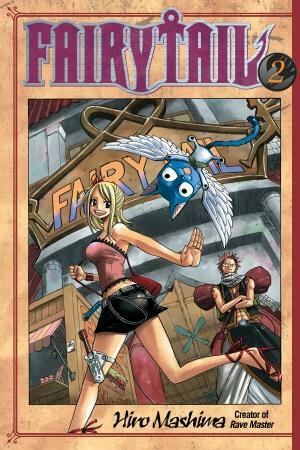 Lucy, Natsu, and Happy infiltrate the mansion of the Duke of Everlue. While there they face off against two mercenaries, and the Duke himself. They are able to complete their mission and retrieve the book Daybreak. Once back at the guild Natsu and Gray, an ice mage and Natsu’s polar opposite, are recruited by Erza, the guild’s strongest woman, to accompany her on a mission. Lucy is asked by Mirajane to tag along. They discover that a dark guild, Eisenwald, have gotten their hands on a magic flute, Lullaby, that will cause any that hear its music to die. Erza and the rest chase Eisenwald down to a train station, where they believe the guild’s leader, Erigor, plans to use the station’s PA system to broadcast Lullaby’s song. But Erigor seems to have a different endgame. Now we’re in the phase of the manga where we start to get slightly longer stories. Generally shonen manga starts off with a few shorter arcs, and then moves on to the longer stories. While the Daybreak and Lullaby arcs are longer than the rescue mission in the first volume, they’re still very much the short, self contained arcs. This is an important phase because it helps the manga find its feet, and gives the reader a few short examples of what the rest of the manga will be like, before adopting a similar formula, but stretching it out over several volumes. While the first several arcs rarely rank high among any readers’ favorite stories, I do have a soft spot for these early stories. Daybreak had a pretty decent twist at the end, which was appropriately touching. If there’s one thing Mashima likes it’s writing stories that touch the heart. No matter how bad things may get, there’s always a good, sappy, moment at the end of everything. This may not be for some, but when I think of how dark some manga can get, I can’t help but appreciate Mashima’s commitment to being at least a little light hearted. Natsu manages to shine in the Daybreak story. Not so much for his typical shonen battle power and personality, but because he’s shown as being not necessarily smart, but certainly intuitive. At the end, as they are traveling home, he shows that he’s smart enough to figure out Lucy is writing her own book. You don’t get that with your generic shonen hero. Either they’re dumb as a sack of puppies, or they’re a regular, if clueless guy. You don’t often get a dumb-but-sometimes-smart combo. Erza’s introduction was an appreciated addition to the series. And while she’s clearly meant to be a strong character, she’s just as quirky as the rest of the cast. In fact her strength, and her fashion sense, is what makes her so quirky in the first place. The interaction between the characters may grate on some, but personally I love watching zany characters do zany things, and then suddenly they’re badasses. Only in manga is this possible. As far as the villains go, there’s not much to be said. Erigor doesn’t stand out that much, except that he’s really commited to his grim reaper shtick. The Duke of Everlue is a sleaze bucket, but then again he’s supposed to be, and it’s exagerated like crazy. From his opinion that because he has power he deserves whatever he wants, no matter who gets hurt in the process, down to his “deviant” taste in women, everything about him is meant to repulse the reader. Because of this he comes across as more of a comic book villain than most comic book villains. It’s hard to consider him as anything more than an object to be hated, but because it doesn’t detract from the story I can’t consider it shallow writing. Volume two is strong, continuing on from volume one. The series is still finding its stride, but is making rapid progression towards it. Definitely good enough that anyone hooked by volume one will continue reading.